Like every McLaren road car, carbon fibre sits at the core of the 650S. Stiff, strong and incredibly light, the MonoCell provides a solid platform for optimum chassis dynamics, ultra-responsive steering and exceptional ride comfort. 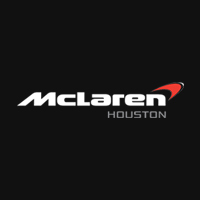 Three adaptive chassis modes specially tuned for the 650S exploit this duality: select Track and you’ll feel hardwired to the road surface; switch to Normal and you’ll be almost entirely isolated from it. Positioned behind you for optimum weight distribution and thrilling dynamics, the acclaimed M838T engine combines 3.8 litres and twin-turbocharging technology to produce an astonishing 650PS at 7250rpm, while 95% of its 678Nm is spread from 3000-7000rpm. That means the 650S revs like a racing car but retains low-speed flexibility. This remarkable engine sends its power to the 650S’s rear wheels via a seven-speed dual-clutch gearbox with near instantaneous gearshifts. Pull the rocker shift paddle at full throttle and a new ‘inertia push’ function harnesses the engine’s torque for a feeling of positive acceleration throughout the shift. Change gear at part throttle and a fuel-cut punctuates the transition, adding an audible crispness. Whereas the Automatic mode ensures silky smooth shifts whatever your speed. 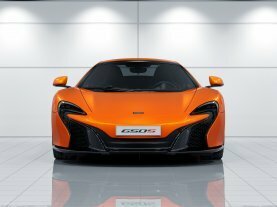 The 650S’s dramatic exterior styling was inspired by the iconic McLaren P1™. The assertive front end, with its LED headlights and aggressive splitter, optimises downforce, as do the door blades, which help to push the 650S into the road surface for maximum feedback and security. Large side intakes cool the potent V8 engine. The Airbrake not only helps the carbon brakes to stop you quickly and safely from extreme speeds, but also adds aerodynamic stability: automatically extending to add downforce whenever required but flattening on long straights to minimise drag, much like the Drag Reduction System on our Formula 1™ cars. Forged alloy wheels fitted with Pirelli P Zero™ Corsa System tyres make the 650S even more exciting to drive, providing huge reserves of grip to complement its intelligent aerodynamics. Open the dihedral door and it’s clear that the 650S is no stripped-out road racer: a lightweight, hand-stitched Alcantara interior is both comfortable and luxurious yet grips you hard on the racetrack. Satellite navigation, DAB or SIRIUS radio and air conditioning are present as standard equipment. Those desiring an even more bespoke experience can choose from carbon fibre race seats, an extended leather pack and further use of carbon fibre trim throughout the interior. A rear-view camera and electrically adjusting steering column can also be specified for maximum convenience. 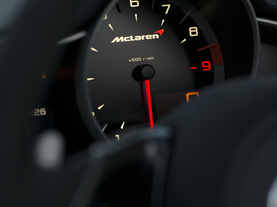 Every surface and control has been optimised so that you get the most from driving your McLaren 650S.